Daredevil: We should go over everything that might come up during the trial. Names, dates, incarcerated villains, prospective recruits, everything. Nick Fury: Don't worry about it. Daredevil: Don't worry about my first trial ever that will decide the fate of the world's most famous superhuman school, and be broadcasted live to the entire galaxy? Nick Fury: Any luck with the Hand? Daredevil: No, they aren't talking. I'll need to look into the Relics they're trafficking. Kingpin would be our best bet, but I don't think he's stepping down from his ivory tower until he knows it's safe. Nick Fury: How about Punisher? Daredevil: I guarantee he doesn't care about any of this. He just wants to know who the bad guys are, so he can cave their faces in. I wouldn't want to be Kingpin when Punisher sees him for what he is. Nick Fury: I like Punisher. I'm gonna try to get him in the Academy. 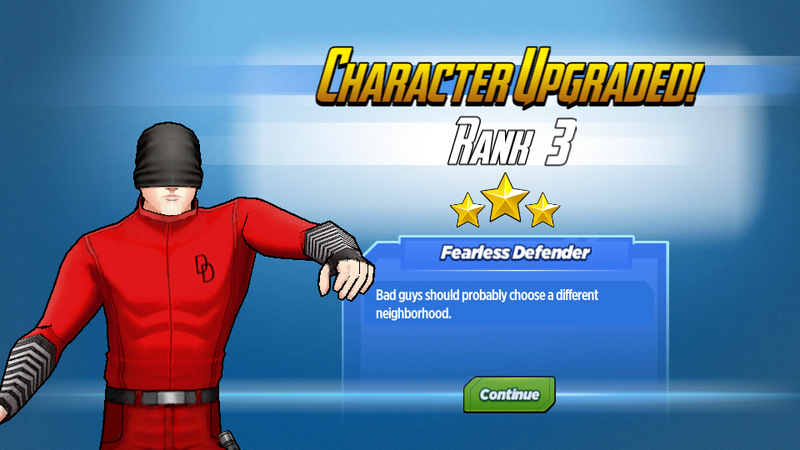 Daredevil: I'm not surprised. You guys probably shop at the same place. Daredevil: Do you have time to join me for lunch? Pepper Potts: I wish I could, but I have so much work to do with everything going on with Director Fury. How'd you know it was me? Black Widow: I'm not gonna lie, you are pretty smooth. Daredevil: Have you been eavesdropping on my conversations, Black Widow? Black Widow: I eavesdrop on everyone's conversations. Don't start thinking you're special. Daredevil: Can you tell what Kingpin and Punisher have been talking about? Black Widow: I'm surprised you can't. I'm pretty sure your hearing works better than my best listening device. Black Widow: That wasn't nearly as smooth, Daredevil. 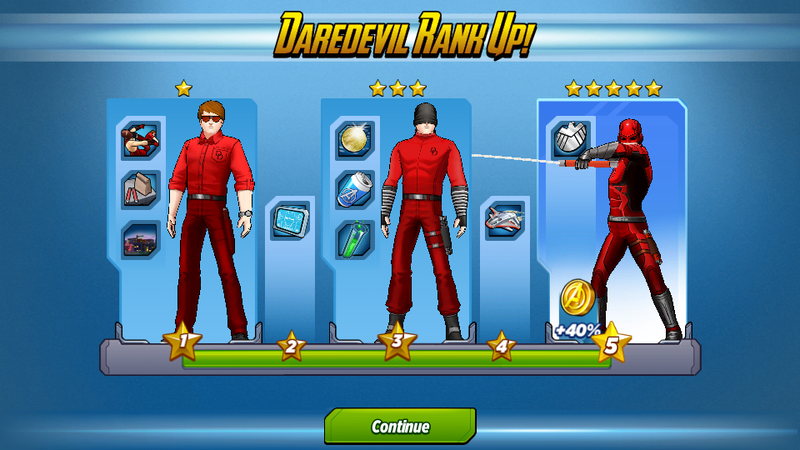 Daredevil: I'm pretty sure both Loki and Black Widow already know I'm Daredevil. This is not inspiring confidence in my ability to defend a man with more secrets than anyone from the god of mischief. Nick Fury: Secrets are made to be revealed. It's the order you reveal them that separates the spymasters from the everyday liars. Daredevil: I'm gonna prepare my opening statement. Try to get our message out before Loki has a chance to twist it. Nick Fury: You'll do fine. Daredevil: What if I don't? Nick Fury: Kingpin and the Hand will take over New York, shut down Avengers Academy, become the most powerful force on the planet, and enslave all of humanity. Daredevil: This is being broadcast across the entire universe. I have a secret identity to uphold. Besides, this is a trial of public opinion. You'll get more sympathy if you're being represented by a hapless blind guy. 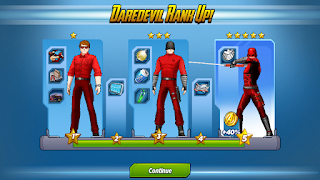 Daredevil: Why did you invite Loki to Avengers Academy in the first place? Nick Fury: His dad beat me in a poker game. Iron Man: Do you have time to help me test my new ocular tech? Iron Man: Pretty much. You're the target audience. Daredevil: I think it's great that you're doing that. Even better if you give it away for free. But I can't right now. Lawyer stuff. Iron Man: I noticed that your lawyer stuff involves a lot of fighting. Daredevil: I notice that people here spend a lot of time noticing what I'm doing. Iron Man: You're the new guy. Pretty soon a vampire or a sorcerer or a dinosaur will get recruited, and you'll be old news. Daredevil: I missed you at dinner. Pepper Potts: I'm sorry. I meant to at least tell you, but we had a minor emergency at S.H.I.E.L.D. H.Q. that needed my attention. Daredevil: It's fine. Maybe another time. Black Widow: How do you know something's wrong? Daredevil: It's the first time I've ever heard your heart rate change. Daredevil: Can we talk about the emergency? Black Widow: Word in assassin circles is that one of the best is after you and your former master. Black Widow: No. They say this guy is good, but nobody wants to deal with him because he's too crazy. Pepper Potts: Your friend Foggy keeps calling S.H.I.E.L.D. H.Q., and leaving concerned voicemails. How did he even get the number? Pepper Potts: Can you talk to him, or visit him, or write him a letter about how safe and happy you are or something? Daredevil: I'm purposefully avoiding him, but I'll find a way to let him know I'm fine, so he'll stop calling. Pepper Potts: Why are you avoiding him? Daredevil: I didn't want you to worry, but I'm being hunted by an assassin who will kill everyone I care about to get to me. Widow, Fury, and Tony are already helping me protect you and Foggy. Pepper Potts: The assassin is coming after me?! Pepper Potts: It's bad enough you weren't gonna tell me what's going on, but at least give me credit for being able to take care of myself. Daredevil: I'm sorry. I know you can take care of yourself. You're smart and tough and Tony says you're as good with the Rescue armor as he is as Iron Man. But Bullseye won't give you the time to defend yourself. Pepper Potts: Why is he after you? Pepper Potts: It's about a girl, isn't it? 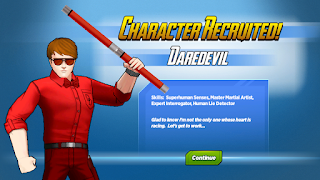 Daredevil: You said you've been tracking me since I finished my training with Stick. Do you know where he is now? 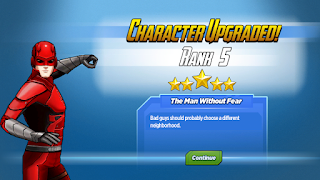 Nick Fury: I only knew where he was before because we had an agreement to train prospective heroes. He disappeared when our agreement expired, and I haven't heard a whisper from him since. Daredevil: I'll find him. If he knows I'm looking for him, he'll probably find me. There's also a pretty good chance that Bullseye finds both of first. Nick Fury: Welcome to Super Hero life. Every morning I congratulate myself on not getting killed yet. Daredevil: You're safe. I just wanted to let you know. And apologize again. Daredevil: Bullseye found our old teacher Stick before I did. He's in jail now. Stick disappeared again. I am currently in a lot of pain. Pepper Potts: I still wanna hit you for hiding all of this from me. Daredevil: Anywhere but the ribs. I think they're the only unbroken thing I have left. Pepper Potts: I also want to kiss you for trying to save me. Nick Fury: I need to get ready to present our acse. Daredevil: Isn't that what I've been doing for a few weeks now? 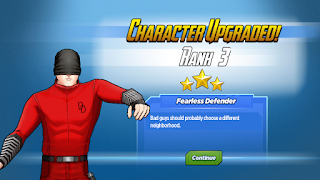 What do you think of Daredevil? Any favourite tasks or phrases?